In the fall in Minnesota, leaves start to turn orange, pumpkin spice everything hits the shelves and sports kick into overdrive. Have you just moved to Richfield or a surrounding neighborhood? Welcome to Minnesota! Here’s a quick guide on our Richfield and Minnesota sports so you can get your sporting fix this fall. 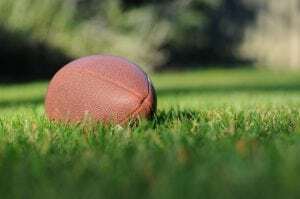 Football season is in full swing – the Minnesota Vikings kicked off their first game on September 9, 2018 and are poised for a great season. Richfield is under 15 minutes away from the U.S. Bank Stadium, home of the Vikings. The Minnesota Timberwolves are Minnesota’s homegrown NBA team. They kick off their season on September 29, 2018 against the Golden State Warriors. The Timberwolves play at the Target Center, which is just 15 minutes away from Richfield. Collegiate sport pride runs deep in Minnesota. The University of Minnesota teams, the Gophers, run the gamut of sports. Arguably the two most popular teams are Gopher Football and Gopher Basketball. Football is played at TCF Bank Stadium and Basketball at Williams Arena, both are less than 20 minutes away from Richfield. One thing you’ll find when you move to Minnesota is we take our hockey very seriously here There are many minor and major league hockey teams in Minnesota, and Richfield is home to the Minnesota Magicians. Their season kicks off September 19, 2018. Go Spartans! Our local high school boys and girls teams include Baseball, Basketball, Football, Hockey, Soccer, Wrestling, Volleyball and more at the JV and varsity levels. For even more sporting fun, check out our Sports Fan Weekend itinerary – a curated list of sporting activities for you to try. Richfield, Minnesota is your gateway to the Twin Cities. Stay in our hotels near MSP Airport and hotels near Mall of America. Richfield is only minutes away from everything Minneapolis and St. Paul have to offer.